How to select a right career path and course after class 10th/ matriculation. can be illustrated as study of trade and business. The stream has been increasingly chosen by a large chunk of students after completion of 10th standard, due to its attractiveness in terms of finding early employment and also beginning of entrepreneurship. Some of the popular graduate courses offered through the commerce stream are B.Com, BBA, BMS, BBM, CFA, CA, ICWA, CFP etc. 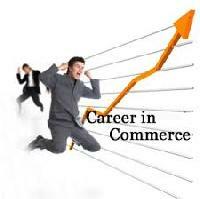 Mostly major commerce colleges offer subjects such as Business economics, financial accounting, Business communication, Marketing, Business law, Business finance, Auditing, Cost accounting, Income tax from which students has to choose their subject of interest. A student has to take total six subjects along with English and one additional subject. It offers lucrative career options to students after 12th standard. It opens up the career options in Engineering and Medical sciences. The major subjects that are offered in the Science stream are Physics, Chemistry, Biology, English, Mathematics, Biotechnology, and Computer Science. For anyone who wants to study Engineering has to study Physics, Chemistry and Mathematics and those who want to study Medical sciences has to choose Biology as a main subject. A student has to take at least six subjects including English. Arts stream has a wide variety of subjects which can offer exciting opportunities. Selection of Arts stream after 10th examination enables to pave the way for choosing some other gripping careers. This stream offers subject History, Geography, Political Science, Psychology, Sociology, English, Hindi and Sanskrit for the higher secondary level. But one has to opt for four compulsory subjects in addition to English and a Modern Indian Language. If anyone has interest to pursue a career in mass media, journalism, literature, sociology, social service, human psychology, politics, economics and history then you must choose Arts stream after passing 10th examination. Constituted under Ministry of Labour, Union Government of India, Governmentrun ITIs and privatelyrun ITCs are training organisations which provide training in technical field. ITI courses are designed to impart basic skills needed for a specified trade like electrician, machinist, fitter, plumber, turner, welder etc. and depending upon trade, the duration of course may vary from one year to three years. After passing the course a person may opt to undergo practical training in his trade in an industry. A National Trade Certificate (NTC) in provided by NCVT (National Council for Vocational training ) in the concerned trade and to obtained this certificate one has to qualify the All India Trade Test (AITT). These people can find job openings in government sectors like Indian Railways, telecom departments etc. after qualifying a written examination. After matriculation, one can join in Indian Army to the posts of soldiers in technical trade through written exams like Indian Army Soldier Clerks Examination, Indian Army Soldier General Duty (N.E.R.) Examination, Indian Army Soldier Technical (M.E.R.) Examination, Indian Army Soldier Nursing Assistants (M.E.R.) Examination etc. Job opportunities are available in Indian Navy as Dock Yard Apprentices, Sailors, Artificer Apprentices, etc. on the basis of written examination. On the basis of physical test and written test, one can join as constable (tradesmen) in Central Reserve Police Force (CRPF).Staff Selection Commission (SSC) conducts clerks grade examination for those who passed matriculation. For those who interested in teaching field can undergo training in diploma course for nursery and primary teachers conducted by the departments of primary education in various States. 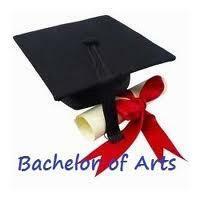 Students can join for 3 year engineering diploma courses in polytechnics. Several job oriented short term courses are available in IT sector and other fields like web designing, animation, fashion designing etc. Apart these, there are so many options, specially self employment opportunities are available for the school leavers depending upon their expertise. Every one knows Mickey mouse, Donald Duck, Tom and Jerry and Stuart little some animated characters that always delight and entertain us. Do you know how these characters were born and how it is possible to create wonders with the art of drawing. And the answer is animation one of the fastest growing and most indemand industries in the world. Multi media and Animation are among the major hunted jobs of the 21st century. Multimedia alias multiple media as the name suggests is an enormous field that uses more than one medium of communication. It is an art that merges text, images, graphics, animation, audio and video to create virtual magic. Animation is only a component of multimedia. The art of animation started with the cavemen who used to draw pictures on the rock surfaces. Though animation was formally demonstrated in 1828 by a Frenchman, Paul Roget, the first animated film Humorous phases of funny faces by J. Stuart Blackton was made in 1906 by drawing comical faces on a blackboard, photographing them, and then erasing it to draw another stage of the facial expression. It was in 1914, that the first cartoon named Gertie, the Dinosaur by Winsor McCay, consisting of 10,000 drawings, was shown as a film in the theaters. In the early twenties, traditional animation techniques were developed and more sophisticated cartoons were produced. It was during this time that Warner Bros and Walt Disney studios came to exist. Computer animation, started during seventies and eighties, had a greater impact and with the passage of time, more and more advanced techniques were developed.